I never learned to sing, and I never learned to play music. Although, over the years, my music has become one of my great aesthetic and artistic pleasures, and while I went to a school where I had the opportunities to learn any musical instrument I wanted to, or to join in choirs and musical productions, I came from a home that was totally lacking in any musical interest, and that gave no musical encouragement – there was no piano, no violin, not even a record player until I bought my own in my late teens. I came to appreciate music in my late teens and early 20s, but for many decades still lacked confidence in singing in church and in joining in the hymns. But over time I realised that part of this was due not so much to my poor childhood experiences but because I had not found my own comfortable pitch and tone. My willingness to sing has grown with confidence in recent years, but that does not mean there has an improvement in the quality of my singing – anything but. My approach to singing has been complicated in recent years with the diagnosis of sarcoidosis on my lungs. There are days when it seems to play up to a degree that my voice is deep enough to make Leonard Cohen or a full choir in a Russian Orthodox church jealous of its depths. Then, out of the blue, late on Thursday evening, a totally unexpected email arrived from Christ Church Cathedral. Would I be at the Cathedral Eucharist this morning [16 October 2016]? The Mass in question is the Missa Rigensis by the well-known Latvian composer Uǧis Prauliņš. The compositional style of this Eucharistic setting is very striking: lively in the Sanctus and Benedictus and intensely intimate and devotional in the Agnus Dei. Domine Deus, amo te super omnia et proximum meum propter te, quia tu es summum, infinitum, et perfectissimum bonum, omni dilectione dignum. In hac caritate vivere et mori statuo. Amen. The music this morning also featured music by another well-known Latvian composer, Rihards Dubra, whose compositional development has been heavily influenced by minimalism and Gregorian chant in particular. The Kyrie and Gloria at the start of this service will be sung to Gregorian chant to echo this minimalist style. This morning’s occasion was the Cathedral Eucharist with the Ordination of a Deacon by the Archbishop of the Latvian Evangelical Lutheran Church Abroad, the Most Revd Lauma Zušēvica. The celebrant was the Archbishop of Dublin, Dr Michael Jackson, and the preacher: was the Precentor of Christ Church, Canon Neill McEndoo. The Latvian Evangelical Lutheran Church Abroad (LELCA) is a Lutheran Church with a presence in Latvia, Ireland, Sweden, Germany, the United Kingdom, Australia, Canada, and the US. It is a member church of the Lutheran World Federation, which it joined in 1947, and is also a full member of the Porvoo Communion, which brings together the Anglican and Episcopal Lutheran Churches in Europe, the World Council of Churches and the Conference of European Churches. The church was originally formed by Latvia refugees after World War II, when Latvia was occupied and incorporated into the Soviet Union. Dr Lauma Zušēvica, who lives in the US, became the first woman Archbishop of the Latvian Evangelical Lutheran Church Abroad in 2014. This morning, Archbishop Lauma ordained the Revd Imants Miezis as deacon. Imants is a journalist and the founder of website www.baltic-ireland.ie. He has been working in Dublin for the past 11 years. As he will minister in Dublin, the Archbishop of Dublin gave him a licence to officiate in the Dioceses of Dublin and Glendalough. Archbishop Jackson’s central role in this Latvian ordination symbolised the bond that exists in the Porvoo Communion between the Anglican and Episcopal Lutheran member Churches. Later, after coffee in the crypt, three of went to lunch in Mykonos, the Greek restaurant in Dame Street, before two of us went for a walk along the sea front in Bray and around the harbour. The tide was out and the sky and sea were such a rich blue that it was possible to imagine this afternoon that this was late summer rather than late autumn. Before leaving Bray as the evening began to close in, we dropped into Carpe Diem on Albert Avenue for much needed double espressos. Meanwhile, the Cathedral Choir is on Half Term until 30 October. It was a privilege to be part of the choir this morning. I hope other opportunities arise when they return. I spent Saturday afternoon [15 October 2016] in Carlow Town, strolling by the banks of the River Barrow, visiting the castle and the churches, and photographing some of the town’s elegant architecture dating from the late 18th and early 19th centuries, including Braganza Villa, dating from 1818-1823. Braganza is hidden at the rear of a housing estate off Athy Road. This once elegant Regency mansion is one of Carlow’s oldest buildings and the former seat of the Bishops of Kildare and Leighlin. For six years the residence of Bishop Michael Comerford while he was coadjutor bishop of the diocese. This beautifully designed mansion, looking down onto the banks of the River Barrow, was recently in danger of being reduced to a ruin. Braganza Villa was first built for Major-General Sir Dudley St Leger Hill (1790-1851), a Carlow-born army general and colonial governor. The house was designed by Thomas Cobden, the English-born architect, when he was only in his mid-20s. Hobden also designed the Roman Catholic Cathedral of the Assumption, Saint Mary’s Church of Ireland parish church, and the Scots’ Church or Presbyterian Church in Carlow. Thomas Alfred Cobden (1794-1842) was born in Chichester, and had moved to Ireland by 1814 or 1815, when he prepared designs for Gurteen le Poer, Co Waterford, for John William Power. Most of his Irish commissions were in Co Carlow and Co Wexford, and included Duckett’s Grove, Co Carlow. He lived for some time in College Street, Carlow, but returned to London by 1832 and died in Hackney in 1842 at the age of 48. Sir Dudley Hill was born in Carlow in 1790, the son of Dudley Hill of Dublin Street, Carlow. His ancestors are said to have come to Ireland a century earlier with the army of King William III. His grandfather, Edward Hill, married Catherine Colclough, a daughter of Henry Colclough of Kildavin, near Bunclody, and a cousin of Beauchamp Bagenal (1741-1802), MP for Enniscorthy and Carlow and remembered as a rake – he is said to have jilted Princess Charlotte, who later married King George III. Hill joined the army at the age of 17 in 1804, when he was appointed an ensign in the 82nd Foot. A year later the transferred to the 95th Rifles. As Lieutenant Hill, he was sent to South America in 1806, and during the Battle of Montevideo in 1807 he commanded the scaling party that captured the north gate of the city. He was wounded and taken prisoner in the subsequent attempt at Buenos Aires, when he fought under Colonel William Carr Beresford. He accompanied his battalion to Portugal in 1808, under the command of Sir Arthur Wellesley, later the Duke of Wellington, and he was present at the Battle of Roliça, was wounded at the Battle of Benavente, and took part in the Battle of Corunna. He was back in Portugal in 1809, when he took part in the Battle of Talavera and the operations on the Côa River. Later, he was appointed to the Portuguese army and had a commanding role both with the Loyal Lusitanian Legion at Battle of Bussaco in 1810, and at the Battle of Fuentes de Oñoro in 1811. Hill then commanded the 8th Caçadores at the Siege of Badajoz, at the Battle of Salamanca in 1812, and in the Burgos retreat, where he was wounded and taken prisoner. He was present at the Battle of Vitoria and was wounded at the Siege of San Sebastián in 1813. He was also present at the Battle of Bayonne in 1814. In all these campaigns, he was wounded seven times. Hill later returned with the Portuguese army to Portugal, where he spent some years. He was knighted in Portugal in 1815 as a Knight of the Order of the Tower and Sword, and when he returned home he was knighted as a Knight Bachelor in 1816. 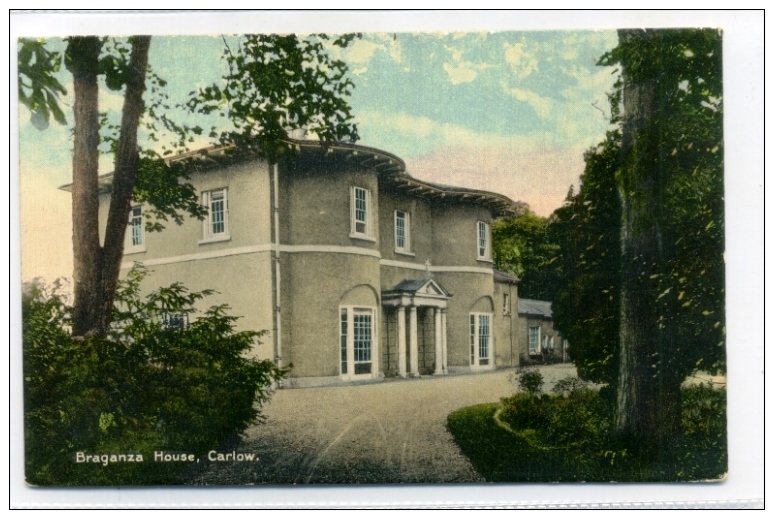 Around 1818, he began building the manor house of Braganza on the banks of the River Barow in Carlow. He named the house Braganza in honour of the Portuguese Royal Family, inspired by his long military career in Portugal. In 1819, at Saint Marylebone in London, Hill married his first wife Caroline Drury Hunter (1799-1831), a daughter of Robert Hunter of Kew, Surrey, and his wife Charlotte (Hansford), and they had six children, some of whom were born in Carlow. He had returned to Portugal once again by 1820 and by 1823, when he decided to sell Braganza, he was an army major. But in 1834 he became a senior British colonial figure when he was appointed the Lieutenant-Governor of Saint Lucia, where he was involved in the emancipation of the slaves. He returned home when he married a second time in 1838. His second wife Mary (Watkins) was the widow of Mark Davies, of Turnwood, Dorset. A year later, he was made Commander of the Order of Aviz in Portugal in 1839. He was appointed a major-general in 1841, and, after spending time on the army staff in Ireland, he was appointed to a divisional command in Bengal in 1848, when he was made a Knight Commander of the Order of the Bath (KCB). He still held his colonial post in Indian when he died of apoplexy at Umballa in Bengal on 21 February 1851. But progress on building Braganza was slow, and three years later it still was not completed. Hill seems to have been frustrated by these delays, and in 1823 he offered the now-completed and fully-furnished Braganza Villa for sale along with six acres of lands. In a tribute to Dr James Doyle (JKL), Roman Catholic Bishop of Kildare and Leighlin, the priests of his diocese launched a collection to buy the buy the house for their bishop and his successors. The organising committee decided to buy Braganza for £2,500. In 1826, Bishop Doyle left his house at Old Derrig and moved to live in Carlow. From then, until the death of Bishop Thomas Kehoe in 1969, Braganza was the residence of the Bishops of Kildare and Leighlin, and was referred to as the ‘Bishop’s Palace. From 1888, Braganza was the residence of Bishop Michael Comerford (1831-1895) following his appointment by Pope Leo XIII as titular Bishop of Corycus in Cilicia Prima, and Coadjutor Bishop of Kildare and Leighlin, with the right of succession as Bishop of Kildare and Leighlin. Michael Comerford was born in 1831 in Tullow Street, Carlow. His father, James Comerford (1788-1859) of Clohamon and Newtownbarry (Bunclody), Co Wexford, moved from Bunclody to Carlow, and lived at 11 Brown Street, within walking distance of Carlow Cathedral and Saint Patrick’s College. He also owned property close to the then Methodist Church in Charlotte Street – named after the once jilted Queen Charlotte. His funeral rites ended with Matins and Lauds in the cathedral. He was buried in front of the High Altar in Carlow Cathedral, where the Flemish pulpit was erected in his memory. A plaque in Brown Street also commemorates his work as both a bishop and an historian. When Dr Patrick Lennon became Bishop of Kildare and Leighlin in 1969, he decided to break with tradition and bought a house on Station Road. His official residence was later built on the grounds of the presbytery at Dublin Road. On 12 July 1972, Braganza Villa, standing on about seven acres of land, was sold at public auction. A local construction company built 25 private houses on the site and Braganza, by then a listed building, was walled off, leaving only one entrance at the rear. For many years it was in danger of falling into ruins, but it has since been renovated and converted into apartments.